Steve Koven is a composer, performer, producer, educator and film maker. In 1993 he established the Steve Koven Trio. Touring the world for more then two decades, they have been coined as ‘Canadian Cultural Ambassadors’. Aside from performing world wide with his trio, Steve also performs solo piano concerts throughout North America, Europe and the Caribbean. Dozens of Koven’s compositions have been licensed for national and international film and television productions. 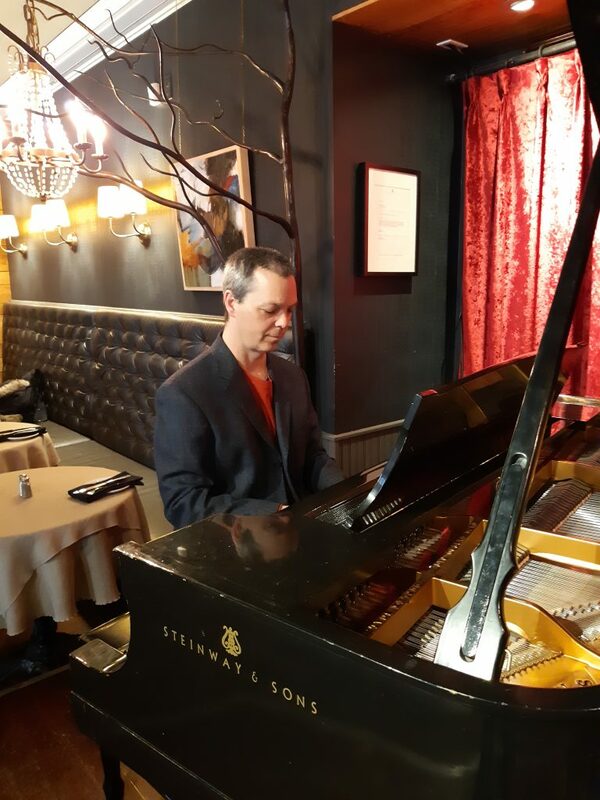 As an educator, Steve has been teaching in the Faculty of Music at Toronto’ s York University since 2003, teaching Contemporary Improvisation and Jazz Piano Studies. In addition, Steve teaches in the Music Department at Centennial College in Toronto, He holds a Masters in Music Composition and has presented master classes and clinics throughout Canada, China, Japan, Colombia, Barbados, Bahamas, USA and Mexico. Steve is also the Education Co-Ordinator of the Eleuthera International Jazz Festival on Eleuthera, Bahamas, and has presented a TEDx TALK at Queens University, Kingston, Ontario. Koven is also an award winning film maker, receiving first price for his documentary, 20, in the 2015 Toronto Independent Film Festival. Bassist and composer, Henry Heillig, began his career as a singer-songwriter in Montreal. He learned stage craft in intimate coffee houses, and started playing bass accompanying his dad’s favourite swing tunes in their living room. Concurrent with his time leading Manteca, Heillig Heillig toured with Sharon, Lois and Bram as well as Eric Nagler, producing music for his children’s television series. He has been a member of harmonica virtuoso Carlos del Junco’s ensemble for almost twenty years. For the last ten years, he has been involved as musical director and producer for a project called The Journey, which puts vocal veterans such as Jackie Richardson and Alana Bridgewater together with young singers in Regent Park, chronicling the ongoing redevelopment of their neighbourhood. Drummer Charlie Cooley hails from Halifax. His varied career has found him touring and recording with many of Canada’s top acts, from Amanda Marshall, The Guess Who and Sass Jordan to Prairie Oyster and Jimmy Rankin. However, his place in Heillig Manoeuvre is a result of his 25+ years as Heillig’s rhythm partner in Manteca. The pair have an uncanny rapport which creates seamless confident grooving in support of Alison and Stacie’s inspired melodies.